It’s hard to think about the end of your life while you’re still in your prime. But the facts don’t lie. Statistically speaking, the younger you are, the more unprepared for unexpected death or incapacitation you’re likely to be. In fact, while 81 percent of adults 72 and over have a living trust or will, that number drops to 60 percent of 71 to 53-year-olds and continues dropping to only 36 percent for those between the ages of 52 to 37.1 While it can be hard to confront your own mortality when it feels far away, creating a living trust now can help reduce headaches later. And if you’re interested in streamlining the process for your beneficiaries, handling the distribution of your assets through a living trust can often be a cost and time effective option. If you’re setting up a living trust, avoid the following mistakes to help you and your trustees benefit from the full advantages this document has to offer. While your adult children may be the obvious choice, they may not necessarily always be the best choice to serve as your successor trustee. It’s important that the person or people you put in charge of your trust are responsible, (preferably) younger than you, and committed and able to execute your wishes. Sure, your children may check all the boxes, but if they’re located across the country or preoccupied with raising families of their own, they may not be in the best position to handle your estate. Whoever you choose to entrust with the distribution of your assets, make sure they’re comfortable with this decision as well. Trusting this person completely means you’ll feel confident leaving them with your assets either after death or if you become incapacitated during your life. Living trusts are documents designed to expedite and simplify the distribution of your assets after death. If you’re not outlining all assets and items under ownership in this document, your trustees are likely to hit some roadblocks. This can quickly lead to expensive tax implications, probate costs, or a delay in the execution of your wishes. One way to help combat the risk of neglecting certain assets is to seek professional assistance in drafting your living trust. Alternatively, there are online tools and resources you can use to draft it yourself, but it’s important to keep in mind the comprehensive nature of this document. You want to be sure you have power over your legacy and your living trust works how you had originally intended it to. Think of a residual clause as a sort of “safety net.” While it’s not airtight, incorporating a residual clause into your living trust can help you catch any important assets you may have left out or acquired after your trust was created. 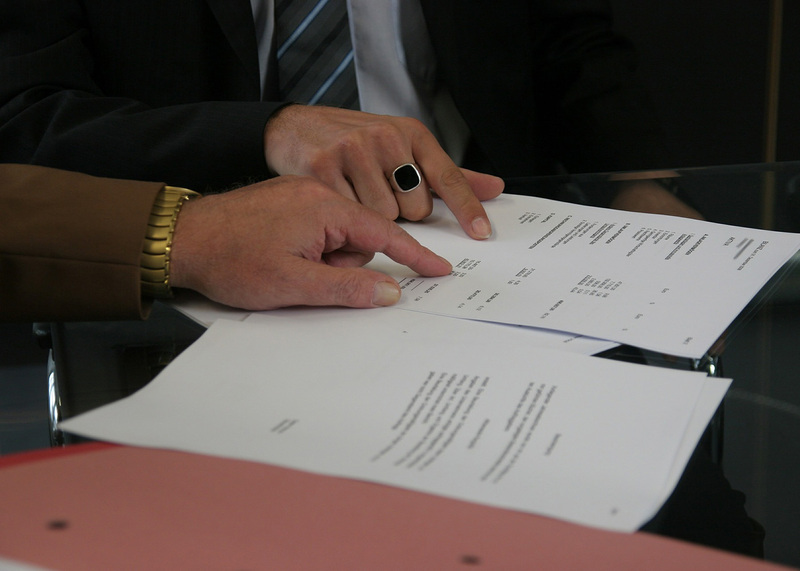 By having this type of protection within your trust, you can better avoid putting any of your estate through probate, which can add time and expense. In addition, a residual clause can help protect your excluded assets from landing in the laps of people other than one of your trusted beneficiaries. To put your living trust into effect, you must make it the “owner” of your assets. Transferring your assets to the trust is called “funding.” Without this crucial step, your assets won’t be protected. This would, in turn, negate the trust’s main appeal of being quick, simple and inexpensive to carry out. In fact, any assets that are not funded to the trust could be subject to going through probate, which is what many try to avoid in the first place. Completing a living trust can feel like a big accomplishment, but don’t be tempted to check it off your list for good. As changes in your family occur, whether it’s a death, birth or marriage, you’ll want to be sure your trust is kept up to date with the right beneficiaries and asset distribution plan. Additionally, reviewing and updating it regularly can help you stay on top of the latest tax laws while ensuring your newly acquired assets are included. If checking yearly sounds like too much, pick a time interval that works best for you. The most important thing to remember is that you want your living trust to always be an accurate reflection of your current state of affairs. Preparing for the unexpected is easier said than done, but setting up a living trust can help protect your important assets later down the line. Just remember to keep these most common mistakes in mind as you prepare this important document. When done right, a living trust can be a great help and source of relief to loved ones after you’re gone. All written content on this site is for information purposes only. Opinions expressed herein are solely those of Sorensen Wealth Management and our editorial staff. Material presented is believed to be from reliable sources; however, we make no representations as to its accuracy or completeness. All information and ideas should be discussed in detail with your individual adviser prior to implementation. Securities offered through Triad Advisors Member FINRA/SIPC. Advisory Services offered through Triad Hybrid Solutions LLC, a Registered Investment Advisor. Triad Advisors and Sorensen Wealth Management are not affiliated.